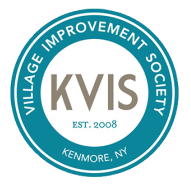 The goal of the Kenmore Village Block Club is to provide useful information and encouragement to residents in starting or improving a block club. A folder of useful material about starting a Village Block Club is available free of charge to any Village resident. Please contact us and we’ll be happy to get the folder to you. The Block Club Committee meets on the 2nd Monday of every month (except August) at 7 pm and at other times as needed. Community Center, 135 Wilbur Avenue, Kenmore, NY. Have you noticed a street lamp out on your street? National Grid is responsible for maintaining the illumination part of our Village street lamps. You may notify them by calling Customer Service at 1-800-642-4272 or online at www.nationalgridus.com/niagaramohawk/account/forms/streetlight.asp.